What are Print Finishing Services? You may have experienced this for yourself. You’ve worked diligently for weeks perfecting the content and design of a print piece. You take it to your printer, ready to just drop off the files and move on to the long list of things you just haven’t had time to to get done. That’s when the questions start. Do you want this on a 100lb stock? Are you thinking of using a nice linen for this piece? Any coatings? UV Spot? Foil Stamping? Did you want this laminated? At this point, you are most likely either blankly staring back at them or beginning to pull your hair out. Don’t worry. It’s a common reaction. There are a ton of options for printing, and it can be overwhelming. The best approach for finding and using the right print finishes is to design with a finish in mind. It eliminates those last-minute decisions and can inform the design choices that you make. Here are the most common print finishes, how they are applied, and how they look. Ok, so paper stock is not a print finish, but in any print conversation it must be top of mind. The quality of the stock you choose has a lot to do with your brand style and the look and feel that you are trying to achieve. It should work with your design to project a professional image that reinforces your brand. Single page items like postcards and business cards are usually printed on thicker, heartier paper stocks. A 16-point paper stock is a very common choice. For multi-sheet projects like catalogs, a combination is more appropriate. Use a thick stock for the cover and a thinner stock for interior pages. Using a thinner stock for interior pages also has the added benefit of saving you money. Outside of the thickness of the paper stock that you choose, there are texture considerations. Laid, linen, ribbed and felt are all options that can add a wonderful tactile as well as a visual element to your print pieces. Lamination adds a layer of protective coating to your print pieces. Lamination comes as either a glossy or matte finish. In addition to its visual enhancement, lamination adds strength and resistance to moisture. High gloss lamination is often applied to prints to enhance the contrast and sharpness of the design. Matte laminated prints may appear quieter but with an added element of luxury and elegance. Lamination is a lot like varnishes. However, while it can create appealing visuals, lamination is typically more expensive and used in situations where added strength is a requirement, like in the case of soft covered books. Varnishing is the process of applying a liquid coating to your printed pieces. It comes in a variety of options—matte, glossy, satin or UV. UV (ultraviolet) varnishing is very popular, relatively cost-effective, and adds a particularly high-gloss, shiny coating. It is achieved with the use of special machines that incorporate ultraviolet light to “cure” the coating and achieve the final effect. A spot UV finish is the application of a UV varnish to very specific areas of the printing surface before it is cured or hardened during the printing process. The results are a glossy coating on only the specified surface areas of your print. Spot UV can be a very effective approach for visually separating similarly colored areas, or creating a false sense of depth. 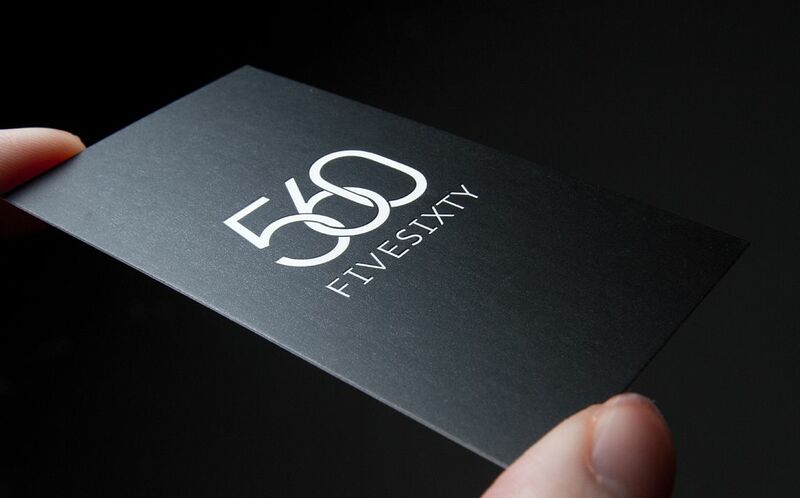 Embossing is achieved when a three-dimensional die is used to stamp a desired design or shape into a print piece. Don’t confuse embossing with letterpress, or “debossing.” The two are very similar and often confused. Embossing makes an impression on the paper, raising the desired design off of the paper and toward the viewer as they look at it. There are two different techniques for embossing, blind and matched. Think of them as with and without color. Blind embossing is achieved by simply pressing the stock, as is, with a stamp. A matched embossing is achieved by first printing color on the paper and then pressing the stamp directly on top of that color to achieve the desired effect. In many ways, embossing has waned in popularity over the years. Compared to some coating options, embossing can be pricey. However, if used correctly, it creates a sense elegance that is unmatched and is still fairly common in many industries today, including legal, medical, and design. Letterpress, also known as debossing, is the physical opposite of embossing. Instead of using a stamp to raise a pattern off of the paper, letterpress depresses or indents the pattern into the stock to achieve the desired result. Like embossing, letterpress can be accomplished with either a blind or color printed technique. 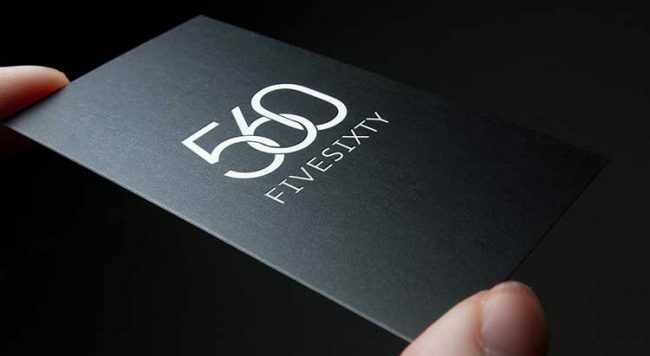 Given a higher threshold for cost within the industry, letterpress is most commonly used for printing wedding invitations, though its use on business cards has been growing in popularity. Similar to gold leaf, foil stamping is a thin, usually metallic, finish that is applied in a visually similar way to spot UV. Unlike a spot UV, however, foil stamping is accomplished with machines that use heat to transfer metallic foils to a print stock. Foils come in a large selection of colors. Naturally, the most commonly used colors are gold, silver, and bronze, though foils with pearlescent and holographic effects are also very popular. Any print piece that is cut to an unusual size or shape is considered a die-cut. Creating a die-cut print piece requires the manufacturing of a specially designed cutting tool, or “die”, that is used to punch the shape out of the stock. To create a die-cut design, a template or “die-line” must be created to the specifications of the die. A designer can then design to that specific die-line. As you can imagine, die-cutting is one of the more complicated and therefore expensive print finishings. Some commercial printers offer a selection of pre-designed die-lines the can be used to create die-cut designs without the cost of manufacturing your own custom die. These can be great solutions for creating unique print pieces in a cost effective manner. If there is one takeaway we would want you to walk away with, it would be this; ask questions. When you’re working with a designer or printer, and they throw out some print jargon that you don’t understand, don’t just smile and nod to avoid some sort of embarrassment. It’s not your responsibility to know all of this; it’s their responsibility to explain it. So, ask questions, lots of questions. As much as possible, try to decide on the desired print finish before you begin to design a piece. In many cases, the finish will inform the design. Reach out to us with any questions that you may have, we have over 30 years of experience with Houston graphic design and brochure design and printing in Houston, and can walk you through just about an obstacle you are facing.